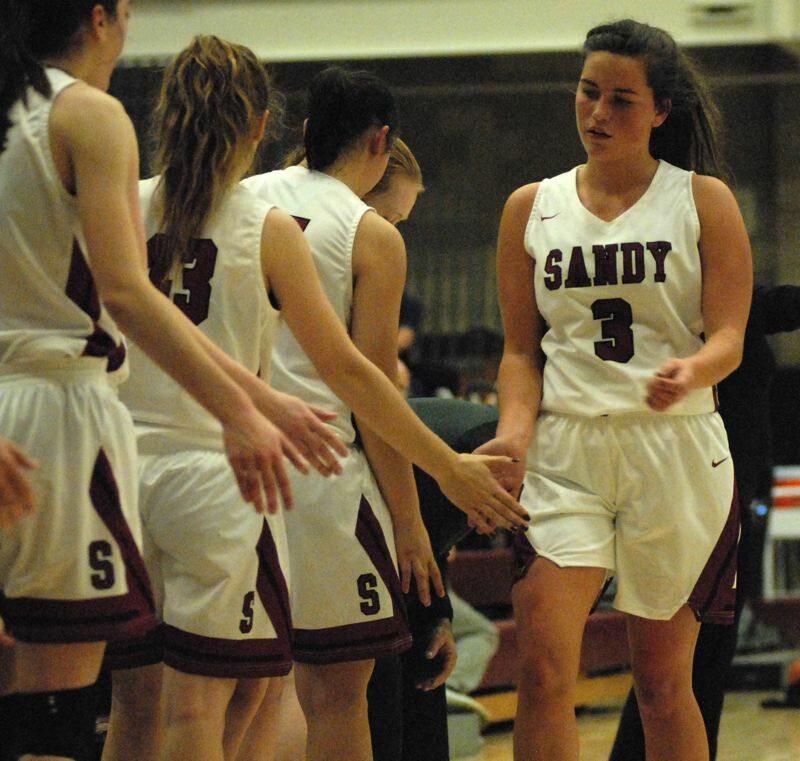 The Sandy girls basketball team surrendered only two buckets in the first quarter on its way to its first win of the season 55-33 at home over Hood River last week. Bella Kansala outscored the Eagles herself with three first-quarter buckets. Tana Dwyre helped out with a 3-pointer, and Alyssa McNutt put two more shots through the net to push Sandy to an early double-digit lead. "We came out with some intensity, especially on defense, and got the momentum going early," Kansala said. "They had a lot of tall people on their team, that was their advantage, but we were able to read and react to what they were doing." Even had the Pioneers not scored in the second quarter, they would have gone into the locker room with the lead. Instead, Izzy Cabrera hit a pair of 3s, and the Pioneers found themselves comfortably ahead 30-12 at the break. "This is the second year in our system for these girls, so we decided this was the time to bring the pressure and try to get the turnovers," Sandy coach Nechele Bradshaw said. "We talked in the locker room before the game about brining the intensity, and they delivered." Brooklyn Adams knocked down three buckets in the third quarter to put the game away, and the fourth quarter was all about creating chances for the reserves. "This is a 'we' team, not an 'I' team," Bradshaw said. "When you learn to work together, success comes." That effort went all the way to the final buzzer when Morgan Maul passed up a shot at the elbow, which brought her teammates off the bench shouting for her to shoot. The ball came back to her for a second chance, and she converted a layup with 0:05 left for the final points of the game. In total, the Pioneers saw 10 players put the ball through the net. 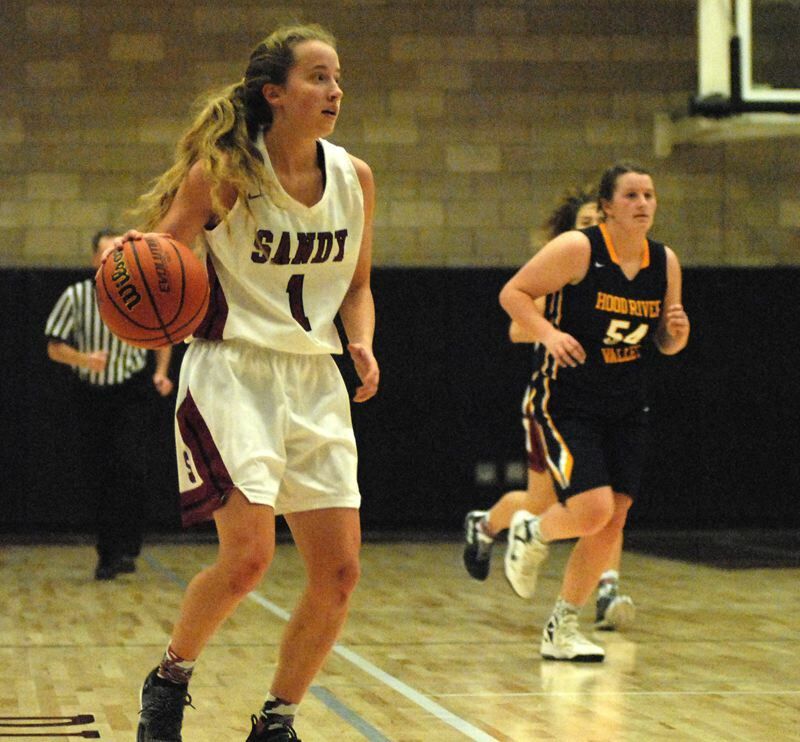 Sandy (1-3) plays at Sprague at 6:45 p.m. Friday and returns home at 7:15 p.m. Monday to face Franklin. Hood River (33) — Kaitlyn McNerney 12, Morgan Baker 6, Dani Valle 4, Barrett Idhe 4, Lizzie Weekly 2, Reese Leiblein 2, Molly Routson 2, Newton, Hughes, Frazier. Sandy (55) — Bella Kansala 13, Athena Thomas 8, Izzy Cabrera 8, Tana Dwyre 7, Brooklyn Adams 7, Alyssa McNutt 4, Jenna Eslinger 2, Morgan Maul 2, Sarah Dukart 2, Jackie McCran 2, Dobson, Turin.